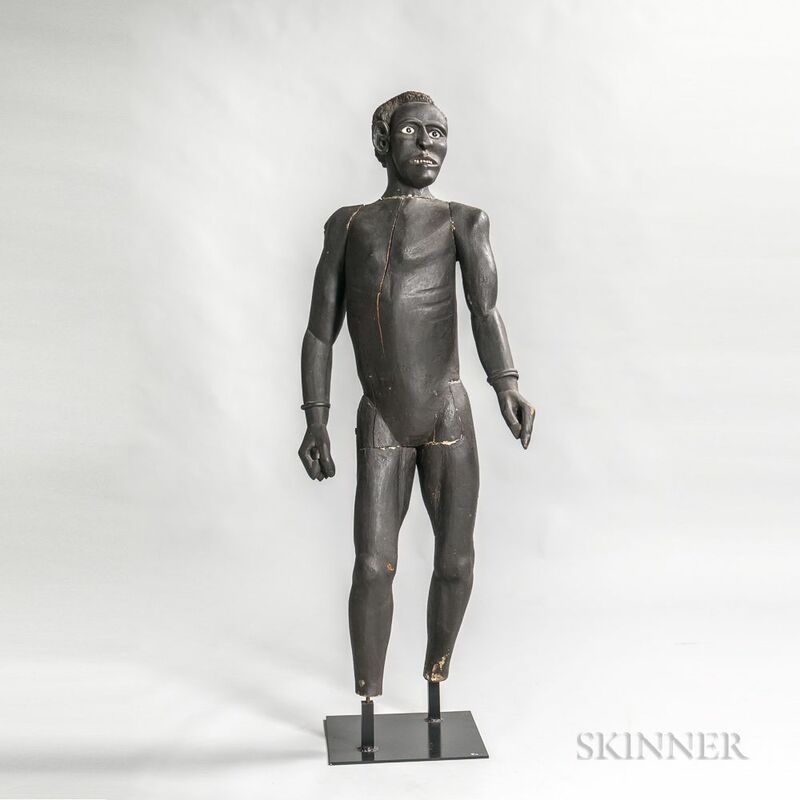 Carved and Painted Pine Figure of an African American Man, reportedly New Orleans, early 19th century, possibly depicting a slave, with glass eyes, carved features, inlaid teeth, bracelets on his wrists, and a confident posture, on custom stand, (imperfections), overall ht. 57 in. 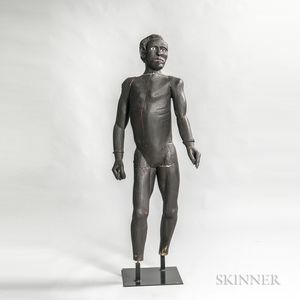 Provenance: James Kronen, New York, 1974.
minor chips and losses, lacks feet, shrinkage cracks to torso.